From one-man, two-man, tow-behind, tractor 3-point, skid steer, backhoe and excavators, Equipmentland provides complete system design knowledge with your specific application. A full line of adapters, extensions, power units, and auger bits from soft dirt to solid rock. 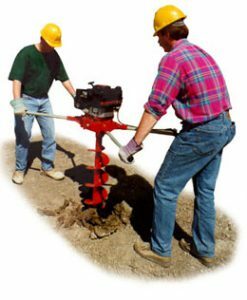 We started out selling one man units in the 1990s and have grown our knowledge over the years to a complete understanding of hydraulics and auger applications to the larger scale projects. 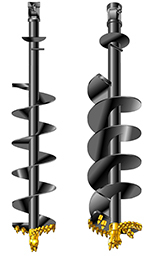 Such as solid rock drilling and augers 36″, 48″ diameter and digging deeply with excavators. 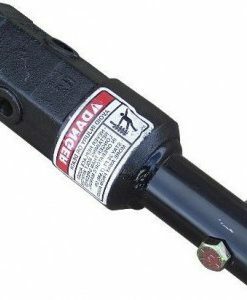 We are now including horizontal boring. Call today for expert guidance in putting your system together.